I know summer is approaching when rental RVs hit the local roads, fog rolls into town, and my inbox fills with emails asking for hiking advice. I received an intriguing note yesterday from a midwesterner planning a trip. Arriving to the bay area in late spring without camping gear, this couple would love to find a non-touristy cabin to rent in the bay area, from which they could day hike for 4-5 days. There are many wonderful camping options in the bay area, but not so many cabins that are both close to trailheads and secluded enough for a peaceful respite at the end of the day. Their best bet may be to rent a home or room at Point Reyes. http://www.ptreyes.com/ is a good place to start when researching lodging options. The area has quite a few bed and breakfasts and some small motels. Most would require a drive to trailheads, but I found this place, Holly Tree Inn's Vision Cottage on Mount Vision, which looks to be within walking distance to quite a few trailheads (including Sky, pictured here) and is located in a quiet part of Point Reyes. A tent cabin at Big Basin Redwoods State Park would be a great starting point for a long weekend of hiking, however, the cabins are clustered together, so it's not a good option if they're looking for privacy. 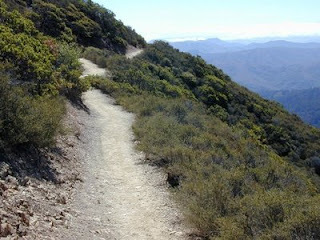 The West Point Inn on Mount Tamalpais (here' s a photo from the area near the inn) fills just about every requirement for our prospective visitors, but it's small and fills quickly. 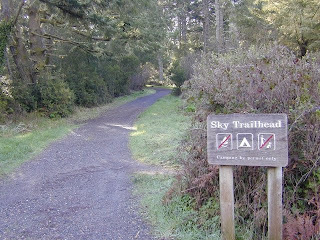 Costanoa offers tent cabins and very nice rooms, but there is only one trailhead in the immediate (walking distance) area; they would have to drive the other days. Pelican Inn and Mountain Home Inn. In addition to hotels and B&Bs there are some great vacation rentals in Point Reyes as well. Thank you very much for such a great post, I truly appreciate it.